MISC are now trying to secure an attractive, functional high street property to bring our makers studios, gallery front and community facilities together. 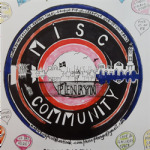 After 3 years as Makerspace Penryn, in a tucked away location, MISC need to put ourselves in the heart of our community, to participate in creative community projects, through Penryn Arts Festival, open studios, events and more. We offer creative classes and daily drop-ins for all plus artist spaces. There is a demand for affordable arts space which MISC offers alongside our community hub. A place to be. A place to learn and exchange ideas as well as a venue for the arts. Our exciting new relocation and reinvention requires a centrally located property that can tap into commercial potential as well as providing craft specific facilities, such as space, equipment, expertise and kiln hire, in the community for the people. Making has proven to bring health benefits to those exploring its many facets. We are dedicated to providing a platform for that and an alternative option to the doctors surgery for mental illnesses and the isolation of working from home for our many artists. MISC on the high street is a dynamic project. It offers the community a hub and venue for the arts. We have a thriving student populace that has no place to visit or connect to in our town, perhaps, apart from bars/pubs. We provide alternatives to college or a support for extra skills for those wanting to learn skills in ceramics/clay, glass, metal and upcycling found and second hand items. We have been approached by home school groups and have extended our umbrella of school and preschool options, to regular classes for parents and children to learn skills and have fun together. There is also scope for alternative birthday parties to students, children and adults. Whilst also somethings creative that are slightly risque or off the wall. Such as hen parties for the creative and clay date. A dating event based around making humorous clay objects. On the more serious side we can provide a hub or cradle for emerging talent, graduates, those in transition and those in ill health. Locate and secure the ideal town centre building or building plot/development site to base Misc. Set up studio spaces for a number of in-house Misc artist-makers and desk spaces for community project practitioners. Obtain certain specialist equipment and fittings offering our facilities to community groups and our clients.. There is an emergence of small and creative business on our high street and by bringing MISC to the high street we feel that we will continue the improvement of the area. It will create positive community engagement and self improvement options for those seeking a breakthrough or a career change. MISC can also offer a place for families to have 'time out' whilst engaging with each other and their community through fun activities and creative escape. Creativity is an essential antedote to the business and often the chaos of pressure in daily life. We aim to be a family venue whilst also providing a workspace that is shared for artists and makers of a variety of backgrounds and ages. We have a rich seam of making culture alive in Penryn and are in the process of creating stronger more tangible networks and links for makers and the community at large, to enjoy the art of making anda space for all, in which to prosper. We are a growing collective of artist-makers residing in Penryn all using creativity and the art of making to bring ideas and people together. The founder Fabian, a graduate of Contemporary Crafts at Falmouth University, set up Makerspace Penryn in 2014. Essentially her studio split into 6 spaces with kiln, potters wheel, tools and a community workshop area, offering a shared makers hub and skills exchange to the local community. Realising there was a lack of affordable, accessible creative community space, Fabian set about developing ideas for a inter-disciplinary making space, studios and gallery on the high street. In 2017 Fabian formed MISC and invited other makers to join her in the quest to secure central, high street property. We are now busy structuring our scheme, forming the core ethos of MISC, working to find a longterm property, to invite the community, for creative drop-in sessions, to share in the well being of making, spend time learning new skills and to explore personally, locally and globally, the unifying power of art. Fabian built up a following over 3 years for Makerspace Penryn and over 20 makers form all disciplines have passed through and some long term residents have now joined MISC to support the ethos of shared creative community space. 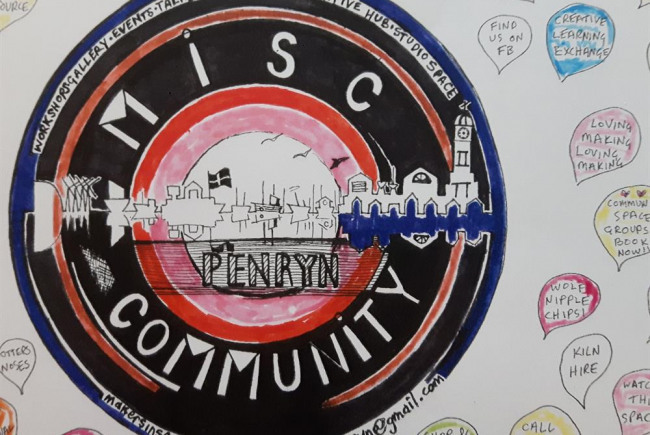 With the need to reinvigorate Penryns high street and bring creativity into the heart of the town, MISC will offer skills workshops, parent and child and home school, preschool and after school art and craft sessions. We'll hold daily making workshops, drop-in sessions, adult education and events programme and slots for artists, makers, speakers and academics to visit and share their inspiration and insight into their practice,being an entrepreneur and how to 'make' a living from art and much, much more. We have open doors, a cuppa and a friendly, listening, engaging crowd, ready to meet and make with our communtiy audience. Our own MISC makers are dynamic, multi skilled and carry rich and varied life experiences of their own, of all backgrounds and of all ages. Project Delivery Manager: MISC, ( Makers In Space for Craft) The Project Delivery Manager takes legal responsibility for receiving and spending the funds raised and ensuring the project is delivered.